From the New York Times bestselling author of A Snicker of Magic and The Key to Extraordinary comes a new middle grade series about seven strange siblings all born on a different day of the week and the neighbors who keep trying to tear their family apart. 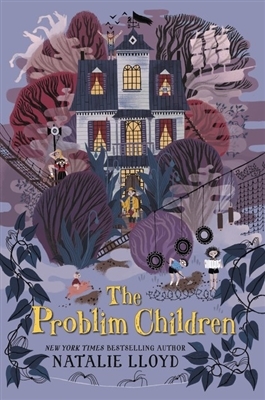 With a snicker of Lemony Snicket, a dollop of the Addams Family, and a healthy dose of charm, The Problim Children is an unforgettable tale about adventure, family, and finding the courage to tackle any problem heart-first. Natalie Lloyd lives, writes, and daydreams in Chattanooga, TN. Her first novel, A Snicker of Magic, is a New York Times bestseller, an ALA Notable Children’s Book, and was named a best book of the year by Parents magazine, iBooks, and NPR. Visit her at www.natalielloyd.com.